Husky Liners® WeatherBeater …offer a fresh appealing design complimenting today's current model cars, trucks and SUV's interior styling, with the same functionality and protection that's been proven with their original Classic Style. Have Questions? Ask a product specialist! Husky Liners Weatherbeater Floor Liners… protect the carpeted areas of your vehicle from water, snow, and mud. 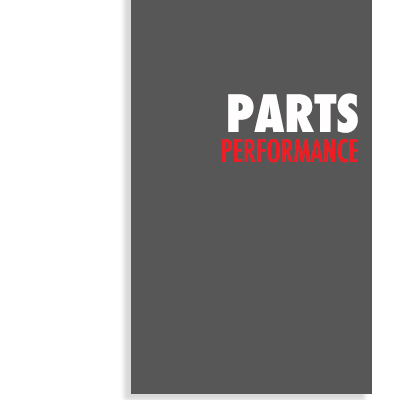 Designed for specific cars, trucks, and SUVs. The WeatherBeater floor liners are made from an exclusive elastomeric material that allows these floor mats to remain flexible without curling, cracking, or breaking. Patented, hard-molded “nibs” on the bottom of the liners ensure each liner stays put, preventing any shifting or movement of the mats. In addition, the WeatherBeater liners use key elements of your vehicle's interior to give your floor liner a customized look and feel. 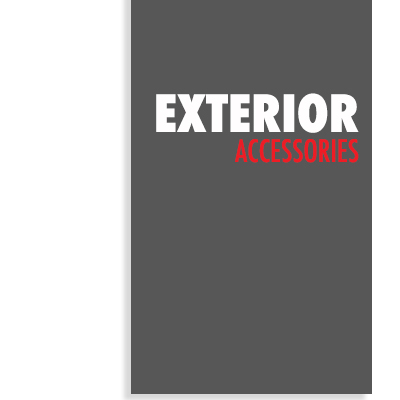 An additional Form- fit Edge at the door threshold allows for easier entry and exit. Husky Liners lifetime warranty against cracking and breaking makes this a great value. Note: Actual product colors may vary slightly due to such factors as monitor settings and viewing environment. 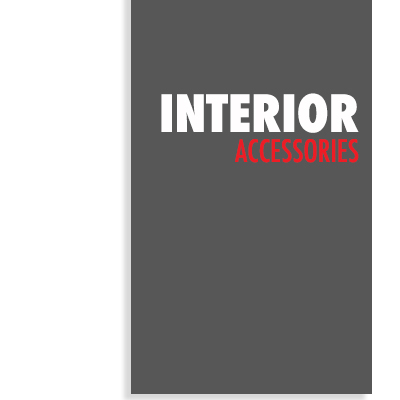 Husky WeatherBeater Floor Liners are custom-tailored for a perfect fit in your year, make and model. The sleek grooves and tall side-walls trap grime and guard against stains. 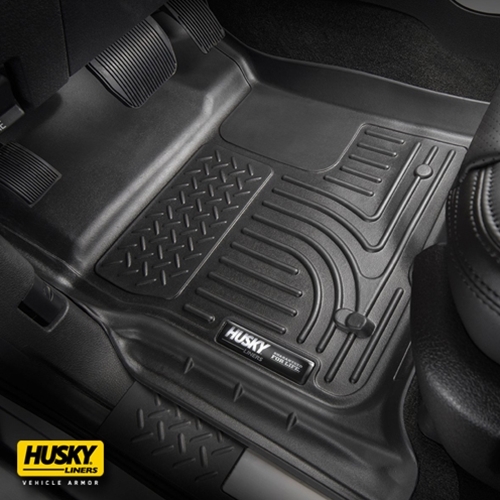 Husky WeatherBeater Floor Liners are crafted from an all-season rubberized thermo-plastic material. Tough enough to withstand water, mud, snow, gasoline, motor oil and battery acid. Husky WeatherBeater Floor Liners are backed with a Lifetime Warranty against cracking or breaking. At the core of their wide product line are the Husky Liners® brand of custom-fit floor liners, including front seat, rear seat, and cargo area. Husky Liners also manufacture heavy-duty floor mats, custom molded mudguards, and a wide assortment of quality products designed to help extend the life of your vehicle. If you are not 100% satisfied with your purchase, we offer NO RESTOCKING FEE! We are happy to accept a return for a refund or exchange on products in new/unused/re-sellable condition and that have not been assembled, installed or modified within 90 days of delivery. *Please Note: Merchandise that has been installed, modified, drilled, bent, scratched, or otherwise damaged is no longer in "new" or in resellable condition and should not be returned unless it has a manufacturer defect or was damaged in shipping. All returned merchandise must be in its original packaging, including all parts, manual and paperwork. Should you have a warranty issue, please email us at Info@XTRAPIECE.com and we will contact you and facilitate a warranty-service request for you with the manufacturer. 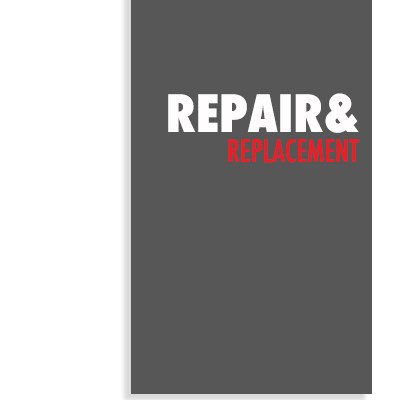 We may request photos of the items that are broken, defect, or just not right to assist with the return process.